At ProHealth Sports and Spinal Physiotherapy, we focus on healing cause, but not symptoms. Our premium physiotherapy care that adopts hands-on manipulation treatments with absolutely no reliance on machines. Every body is unique. To ensure prompt and effective recovery, our physiotherapists design one-to-one customized treatment plan for each client. This is the rehabilitation after spine back injury and surgery. Whether it’s related to a disease or mechanical problem, spinal rehabilitation helps to align your spine and control any prevailing back pain by maintaining physical therapy and exercise regimens targeted to strengthen the spine. Progress works towards restoring spinal health is often slow and steady. Think of your spine like the tires of a car. Throughout your life, the spine is compressed, under stressed or worn down. Just like a car, it can really benefit from being checked out and given the right proper care. Spinal manipulation is the use of the hands or a small instrument to apply a controlled, sudden force to a spinal joint. Through this method, we get to correct the structural alignment and improve your body’s physical condition to treat acute lower back pain and neck pain. This form of treatment is often used as a component of neuromusculoskeletal pain treatments and it’s much less complicated than it sounds. Basically, joints of the spine that are tight, stuck, not “moving” in the right amounts or in the right direction are ‘fixed’, all-in-all to improve the muscular support of the joints. The most common side-effect of this treatment is probably the same amount of mild soreness you’d experience after a good workout. 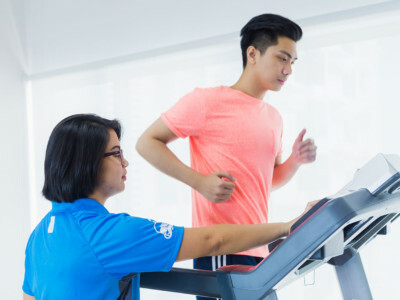 Whether you are a bona-fide athlete, sports enthusiast or someone trying to get more active, our sports physiotherapy and massage treats everyone like you’re a top-class athlete. Our Sports Physiotherapy team are involved in international sporting events, working with international elite athletes. We provide a wide range of services, from coaching, rehabilitation, recovery to preventative advice. We’re not personal trainers, but we work with a few in Hong Kong when there are specific special requests, so we can point you in the right direction too. When it comes to sports injuries, new or acute, chronic or ongoing, we’ll get right to the root of the problem. Did you know that aches and pains on the body can affect your sleep, give you headaches or cause another underlining discomfort? Tension from joint injuries, shoulder impingement, rotator cuff tears, spinal and back problems, stiff necks, painful shoulders and dislocations, all require the right treatment and care. First, we investigate the causes then respond with the right management of these issues. The aim is to reduce symptoms whether its pain, dysfunction or restrictions on mobility and return you to optimal health. Often used to treat chronic, complex, ongoing, unremitting pain or just poorly managed conditions, our massage therapy is here to relieve pain and provide solutions and explanations to improve your overall condition. Feeling better is not the same as getting better, period. Yes it’s a massage, but we pair this with tips that help you to move better and show you functional, dynamic and simple to follow rehab strategies. Simple stuff that you can actually do at home and get better. 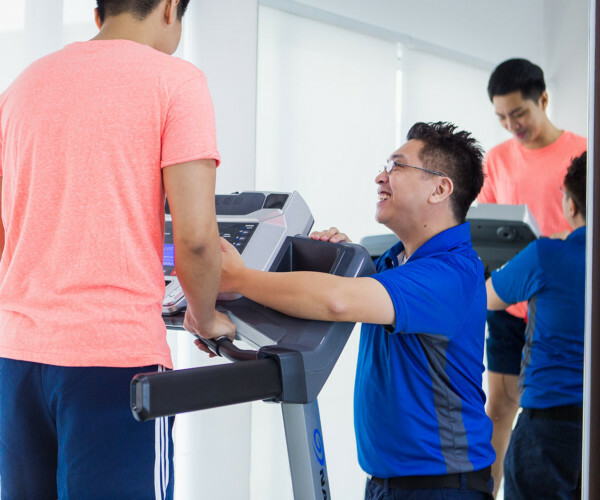 Rehabilitation starts with a careful assessment and thorough physical examination focused on the range of joint movements, strength and levels of pain after surgery. A personalised programme is then tailored to meet your rehabilitation goals because everyone is different. Outpatient post-operative rehab plans can be weekly or more frequent, especially during the early stages of recovery. No matter which stage of treatment you’re at, our physiotherapy team is here to assist you before or after any planned orthopaedic procedures for the shoulder, hip, knee, spinal, ankle or foot. Ignoring injuries or return to training too early, may risk being out of the game for seasons. Other than traditional acupuncture treatment, dry needling is commonly used to treat running injuries, neck and shoulder pain. It helps to relieve disk and nerve problems, migraines and headaches, rotator cuff, tennis elbow, shoulders and upper back pain. Since dry needling brings quick muscle cramp release, it is a well sought after treatment for ‘knots’ within muscles that are painful and limit movement of the body. Basically this is an exercise guideline or individualised schedule packed with the right kind of physical fitness exercises that can be prescribed for a recovery plan, sports injury or as a preventative measure after you’ve healed. Strengthening and conditioning the body is crucial especially after a serious illness or chronic disease, or even when you are physically fit but want to know what to do, the optimal frequency to train at and how to maintain a healthy physique. Our team will help integrate all these pieces together into a simple plan to follow and adjust along the way. Our affiliated company, SPI ProHealth is fully equipped to aid in physiotherapy services at sports tournaments around the world and can also assist in pre-tournament preparation. Supported by experienced sports physiotherapists, the international team specialises in musculoskeletal injuries and sports medicine management. 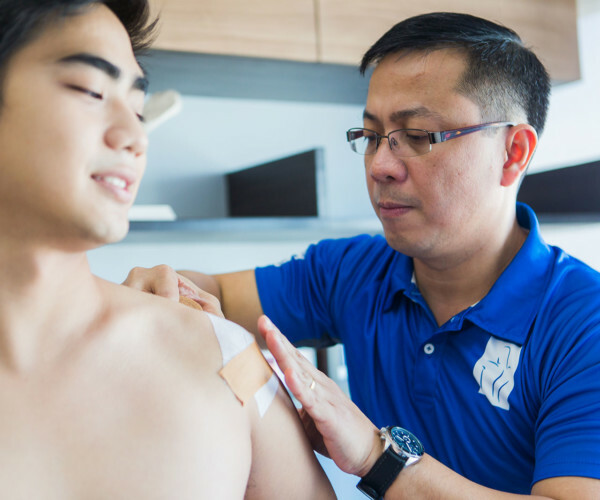 These foreign-trained world-travelling physiotherapists not only come from a vast number of countries, but they bring with them an adventurous spin to physiotherapy services as they go on-the-road all year round to cover major sporting events and tours.